They have the most important job in the world. I truly believe teaching is the most sacred, noble profession there is. 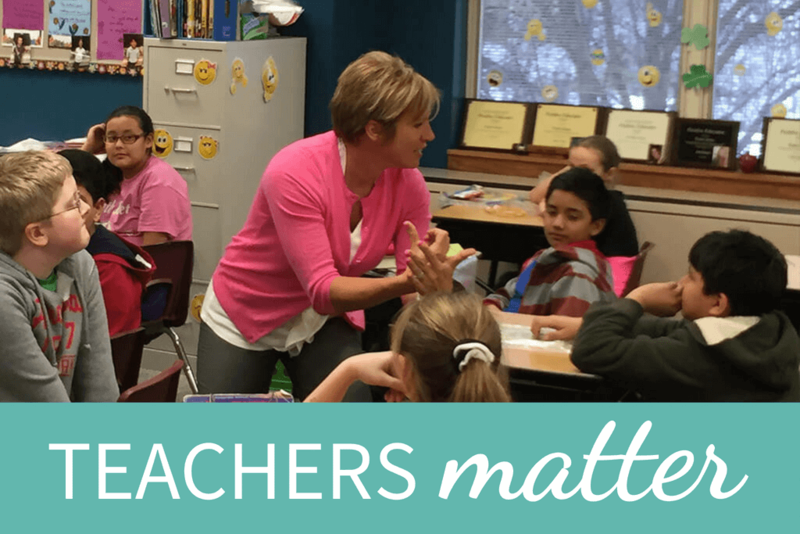 Teachers are important to every community, every profession, and every single person. They contribute to society in immeasurable ways, impacting and influencing lives. They show up for their students 180 days per year to do a truly life-changing job. Teachers are the quiet, often unseen heroes in this world. A teacher’s day begins before their students are even awake and oftentimes carries on long into the evening or the weekend. They work in front of children, the world’s toughest audience, with patience and understanding. They do one of the most important jobs in the world—and in return receive financial compensation that does not nearly meet their value. Teachers don’t choose this profession for the money or acclaim. They are called to the profession. Teachers listen, coach, and mentor. Teachers do so much more than teach. They are sounding boards, coaches, and mentors. They care for children (sometimes even taking them into their own homes) and provide guidance when parents aren’t able to do that job. They nurture, teach, and love the students. Teachers go well beyond the call of duty to be change agents for a more positive world. Teachers seek out the best in students. Teachers dig deep, to help children find their strengths and their own unique talents. They devote the time to students whose strengths and talents aren’t immediately noticeable. And when those strengths are found, teachers are dedicated to nurturing them. Teachers are caring, patient, and committed to bringing out the best in students and helping them fulfill their potential. Oprah Winfrey has described her fourth-grade teacher, Mrs. Duncan, as her “first liberator.” Microsoft founder and philanthropist, Bill Gates, remembers his English and Math teachers with admiration, saying “There’s no way there’d be a Microsoft without them doing what they did.” And I remember the teachers who truly made a difference in my life: Mr. Carver, who taught with such gusto you couldn’t help but be excited about World Civilization; and Mrs. Wilgus, my 1st grade teacher, who showed us love every single day. I believe in teachers, and I believe in this profession. And I want every educator to know their value. That’s why I choose to work so closely with teachers. And it’s why I’m proud to offer this FREE professional development webinar series that will help them make an even bigger impact in their classrooms. The Strobel Summit brings together six education innovators, including Hal Bowman, Matt Miller, and others, who are leading the charge to bring creativity, individuality, achievement, and real understanding back to the classroom. You’re a teacher. You matter. And this free PD opportunity is our way of saying thank you for everything you do. So … join us, and REGISTER NOW!